In I Am Bread, players control a slice of bread on a quest to become toast. 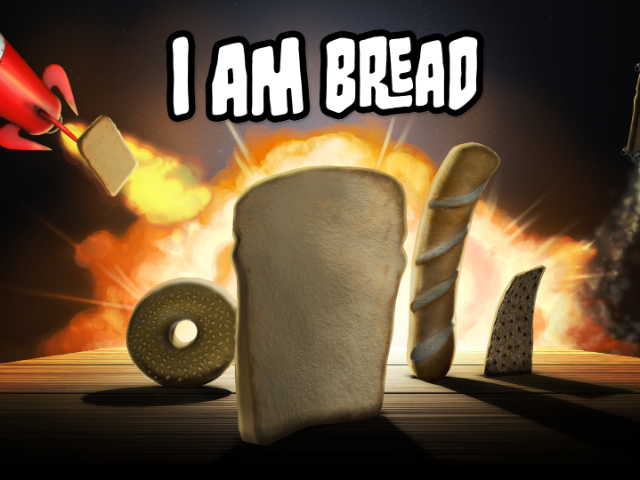 Bossa Studios has released I Am Bread on iOS devices. Originally released on PC in April 2015, and on PS4 last month, the puzzle platforming game challenges players to guide a piece of bread through different rooms of a house or outside world on a quest to become toast. I Am Bread is a prequel to the developer’s Surgeon Simulator, and follows Mr. Murton (Bob from Surgeon Simulator), who begins to lose his mind as players manipulate his home using a piece of bread. The game offers eight levels, and a control scheme specifically designed for touch screen devices. Players drag on the screen to move their bread slice in the direction they’d like to travel, and can tap and hold to ‘cling’ to their current surface with one or more of the bread slice’s four corners. Like Surgeon Simulator, I Am Bread has a deliberately challenging control scheme, challenging players to first master the controls before moving onto mastering their paths through each level. Each level has a heat source somewhere in the environment (starting with a toaster, and then expanding to other things), and challenges players to adequately toast the bread on both sides without touching the floor and other hazardous obstacles, which drains the bread’s “edibility.” Gamers can rotate the camera for a better view of their surroundings, and can manipulate their environment (for good or bad) via physics. For instance, objects may topple when they’re hit by the bread. While the main goal of each stage is to toast the bread, players have a number of secondary goals to complete, relating to level completion times, overall edibility and the toast’s final quality. That is, when toasting the bread, players may find the heat is only hitting one or two corners of a single side, and would need to readjust to increase the toasting quality. As gamers play, they can take and share screenshots from the game’s menu, while video replays can be shared via Kamcord integration. I Am Bread is available to download for $4.99 on the iTunes App Store.